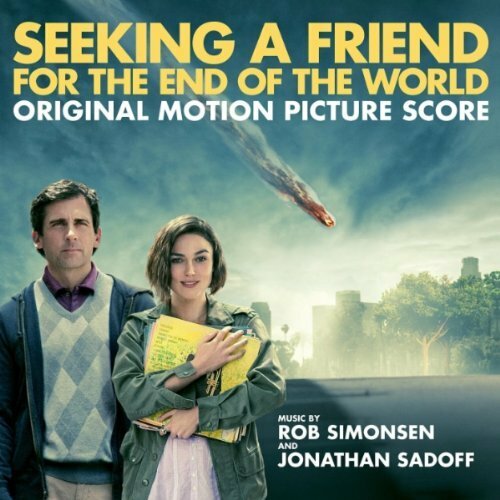 Over the weekend I finally had the chance to watch “Seeking a Friend for the End of the World”. It was not what I expected and everything I adore in lovely romantic story. It was beautiful and I’m not ashamed to admit that I cried a little bit. It was inspiring bittersweet, but you take it all in and it’s just a mash of loveliness. I won’t spoil it for anyone who has yet to see it, but I highly recommend that you DO see the movie! I am excited to re-watch it. The main point that I took from it, is that the one who got away could be someone you never even considered, someone right under your nose, living down the hall from you or someone you pass on the street almost daily. The one who got away isn’t necessary someone you dated and you let them go or they let you go. It’s someone who you may have missed otherwise, not realizing that they were the one for you. The hopeless romantic in me couldn’t resist but to love how the two characters, although very much opposites from each other, were perfect for each other all along and are drawn closer to each other as they try to make it to their loved ones before the world ends. My sappy, sentimental side couldn’t help but let the tears out as they find themselves together, sharing a bed, staring into each others eyes, hurriedly trying to tell each other everything about themselves before the careening meteor annihilates the entire population of Earth. They’re scared, they wish they had more time with each other, but in the end there is nowhere either of them would rather be than in each others arms. That’s where my mushy self felt the heartstrings being pulled. I am not generally a very big fan of romantic movies, and I was under the impression that this was simply going to be a cheesy, funny movie about the end of the world. It definitely had its comical moments, but it most definitely captures the base nature of what everyone desires, that love of their life, whom they could never find themselves being pulled away from. Yes, it may be too elemental and unrealistic, but at the end of the day, everyone is looking for that person they wish to spend the rest of their lives with. Who they want to go to bed with. Who they would want to spend every single last moment with at the end of the world. It’s human nature at its most simple form. This isn’t generally how I write my stuff, but I just couldn’t not share my thoughts on such a lovely film. It just makes me think about what we’re all potentially missing out on when it comes to finding that special someone. I thought I found that person last year and he was someone I’d never would have considered in a million years, but there wasn’t a day that would go by that I could go without hearing from him and vice versa. I can only say that he conditioned me to accept the right guy into my heart like I allowed him. That’s the best lesson, I could take from him and this film. I guess my point on this subject is don’t just overlook someone because you’re not sure they’re what you want, because they don’t fit your usual criteria. Make sure you give someone a chance. They could become your whole world.